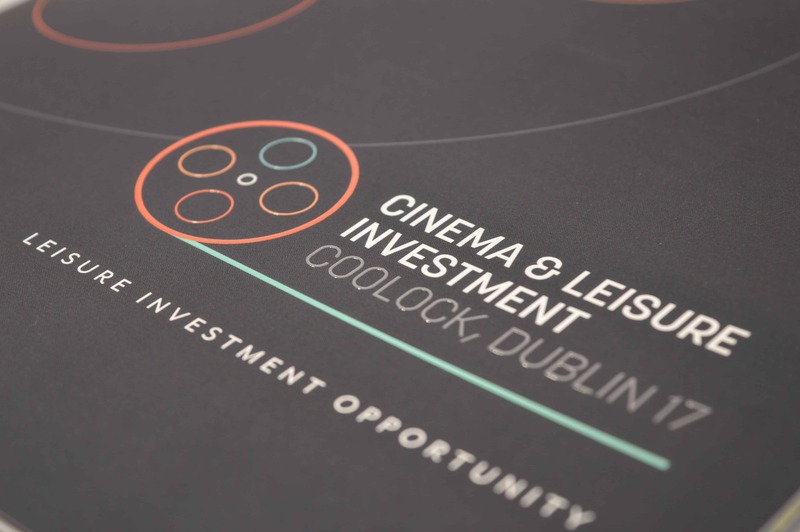 The cinema & leisureplex investment opportunity comprises of two adjoining leisure properties being offered for sale as one lot. The leisure building extends to 43,858 sq ft over two floors and the cinema extends to 37,404 sq ft making the investment a combined 81,262 sq ft. The subject assets are situated at the corner of the Greencastle and Malahide road junction in Coolock, North Dublin, approximately 7km north – east of Dublin City Centre. 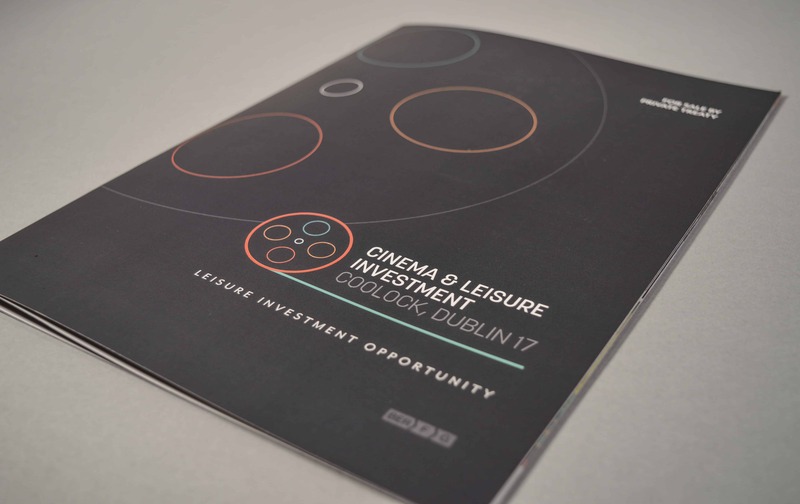 Having worked within the property marketing sector for over 30 years and producing some of the finest printed material on the market, we were approached by Savills Ireland to design the brochure for this Cinema & Leisure-plex opportunity. 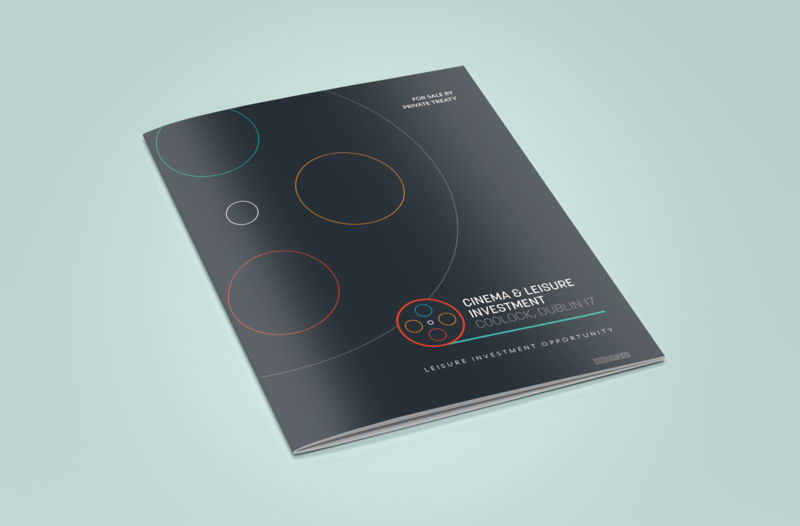 Following the appointment, the team set to work on designing a slick, A4, 8-page portrait brochure to really capture the investment in question. 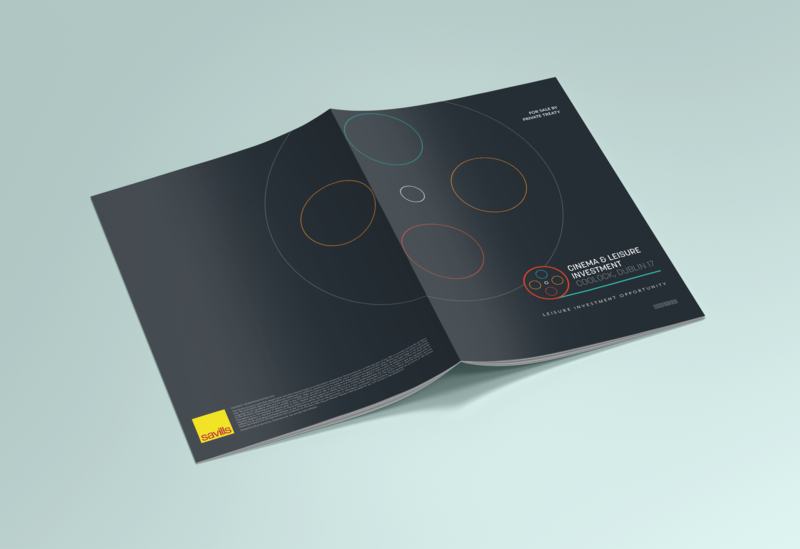 The brochure featured a scodix UV varnish onto a soft touch-free life satin cover which gave the effect of a film reel, all of which was in keeping with the theme of the investment. 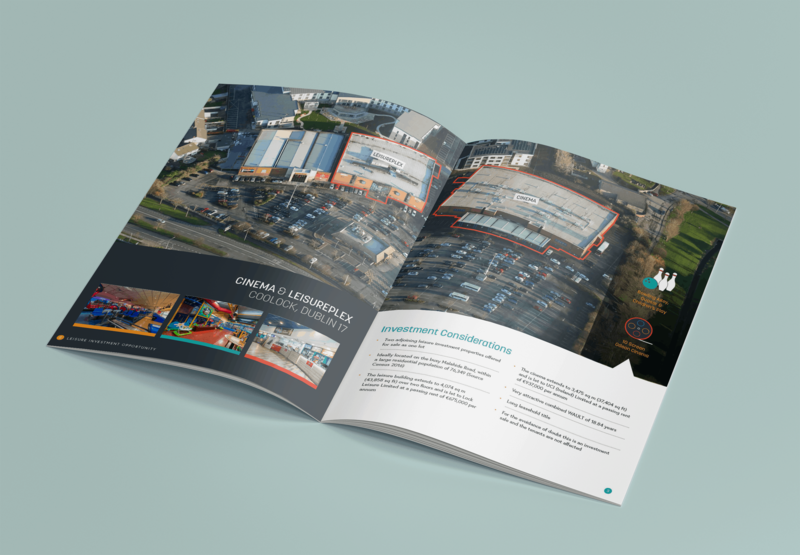 In addition to this, the brochure was matt-laminated throughout and came complete with location photography and a detailed specification of the investment.